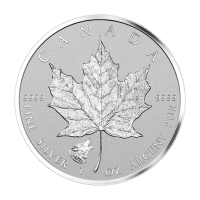 These coins are in mint condition without tarnish or milk spots as we have noticed on many other 1 oz 2011 Canadian Grizzly Bear Silver Coins. 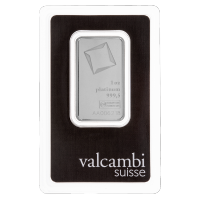 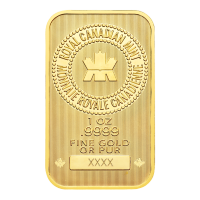 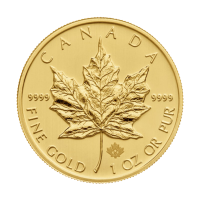 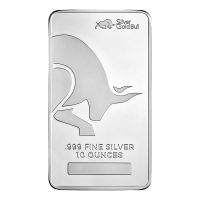 These coins will be shipped to you individually protected in a clear coin sleeve, in multiples of 25, they will be shipped in a plastic tube. 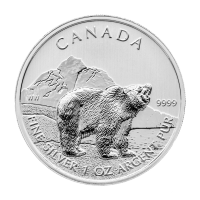 1 oz 2011 Canadian Grizzly Bear Silver Coin The limited edition, 9999 pure silver, 2011-dated "Grizzly" is the second of a six-coin series of silver bullion coins celebrating Canada's Wildlife. 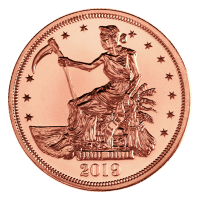 It is limited to a mintage of one million coins. 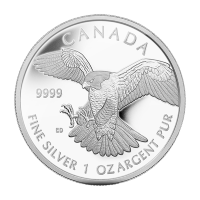 The reverse design of 2011 "Grizzly" silver bullion coin is the work of Senior Mint Engraver William Woodruff and its obverse features the Susanna Blunt effigy of Her Majesty Queen Elizabeth II. 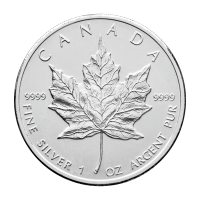 These coins are in mint condition without tarnish or milk spots as we have noticed on many other 1 oz 2011 Canadian Grizzly Bear Silver Coins.